The Texas State Fair welcomed American Idol 2004 runner-up Bo Bice and his band, Sunday October 1st. In typical Texas style, the sun tried to melt the fans the band and the very asphalt we were standing on in the 90 plus, degree heat. 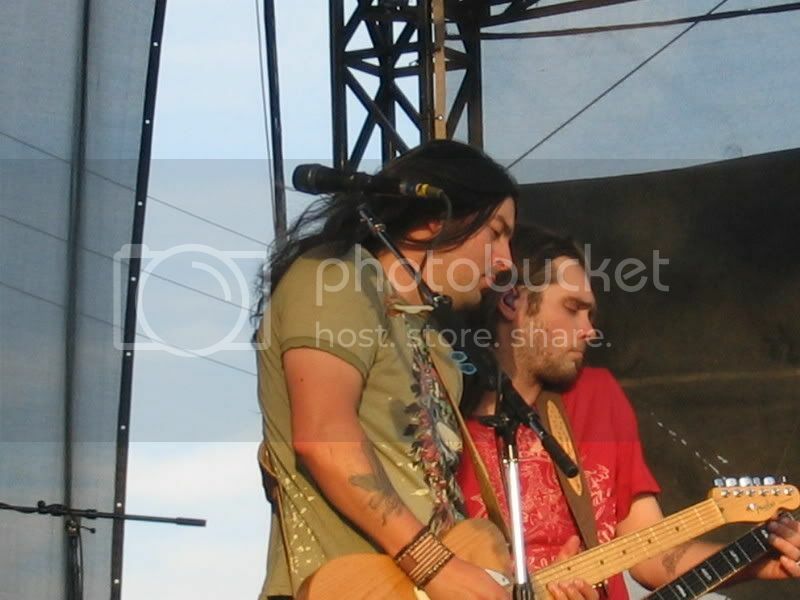 About 700 Bo Bice fans stood in the sweltering full sun beating down on us. 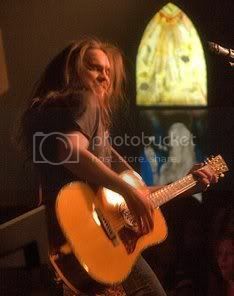 A scorching hot sunny afternoon,but, for many fans, including myself, it was a rare opportunity for us to enjoy Bo Bice and SugarMoney live and in person. 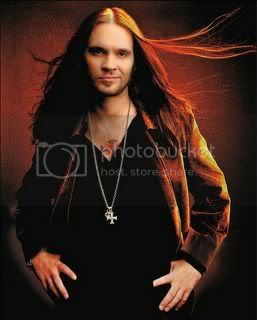 As many things in life, some things must be endured, so for a little while, we ignored the Texas heat; Bo Bice and the boys made it completely worthwhile. I had an amazing vantage point and made appropriate use of my opportunity to get close-up live pictures of Bo and the band. I was in front to the side of the stage, and while several folks around me were encouraged to take their camera/video recorders down, no one addressed me, so I carried on. The crowd that swelled my immediate area were from Oklahoma, Arkansas and of course Texas, with a few in the crowd from Alabama. Diehard fans that follow Bo Bice and SugarMoney where ever they perform. I did not see one BoPeep t-shirt in the crowd, nor any BiceSquad memorabilia, but I imagine some were there in the mix. 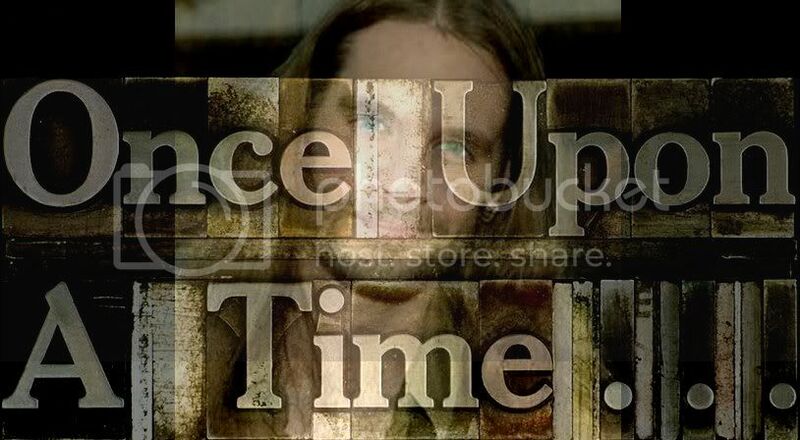 Bo Bice and SugarMoney rock out with a cohesiveness that is generated by much time spent hanging out and playing together, along with an obvious sharing of much love for music. 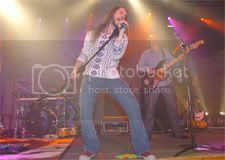 Bo Bice has assembled one hell of a band, adding to the original group consisting of John Cooper and Shane Sexton, a handsome, Texan, guitarist, Heath Clark, talented Thomas Lee on keyboards and the none too shabby axe-man, Chris Bell. 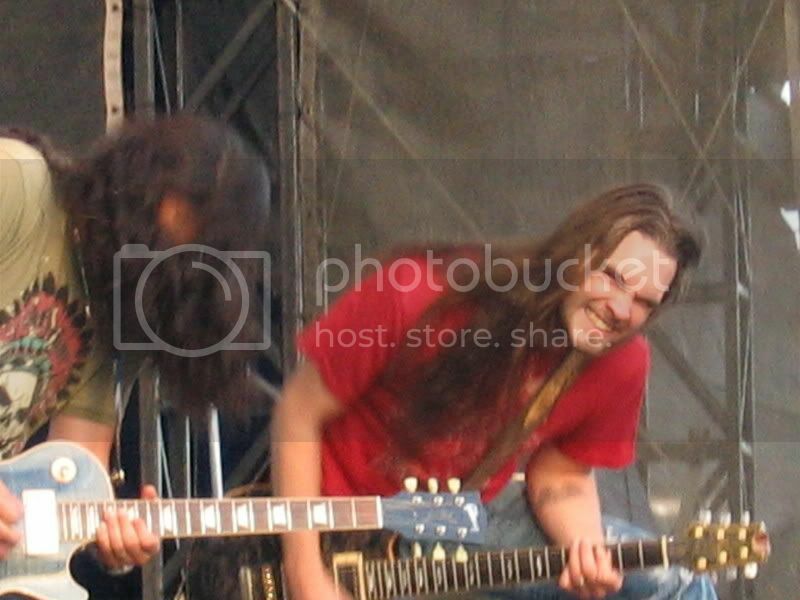 Mr. Bell was completely impressive on guitar, man, he'd step forward and just rampantly present electric fire, rocking on whatever guitar he decided to handle, whether the denim blue one he blazed with or the wood tone he seemed to favor for the more controlled songs. I found Chris dramatic, mesmerizing, commanding, forceful and slash-accurate. They played their usual songs they've been performing on the current fair circuit, but I was really encouraged to hear their take on "U Make Me Better", one of Bice's more recent releases from the CD, "The Real Thing". He rocks it with a harder edge which the song needed, and eliminates some of the pop vibe. I liked this treatment much better than the CD version. My favorite of the set, "Sinner In A Sin". The guys rocked out "Whiskey, Women & Time" and "Cinnamon & Novocaine", original tunes the mass public could listen to if they have purchased any previous SugarMoney music or the dual disk of "The Real Thing" CD. Easily the best tunes offerred from the entire disk set. Bo Bice has gotten his taste of Texas heat the past few days, appearing in Wichita Falls, the first part of this weekend, culminating with and then yesterday, Big D. I missed the corny dog devouring contest, but it seems Bo put in an appearance, but only downed one dog; being there mainly for comedic moral support. One other reason he was able to take on one dog; he's been experiencing continued recurring issues related to the intestinal surgery he underwent over a year ago. According to his website, bobice.com he had an issue that required medical attention September 27th, yet there he was rocking for the fans in Wichita Falls and Dallas, Texas like nothing had occurred. Amazing. I admire that kind of perserverance. I battle lupus and the past half year it has tried to work its evil within my life. 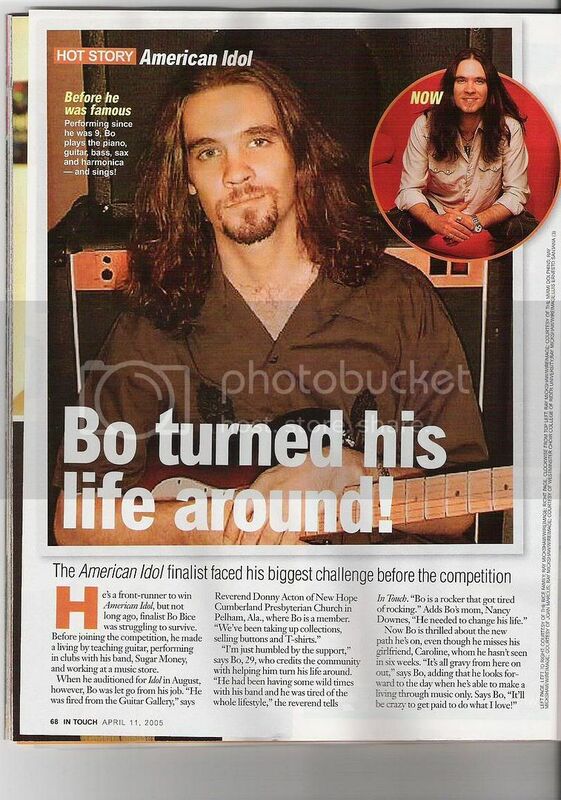 Man, as Bo Bice demonstrates, you've got to keep on trucking or what ever is trying to get you down will. I will have more to add to this later, much love.